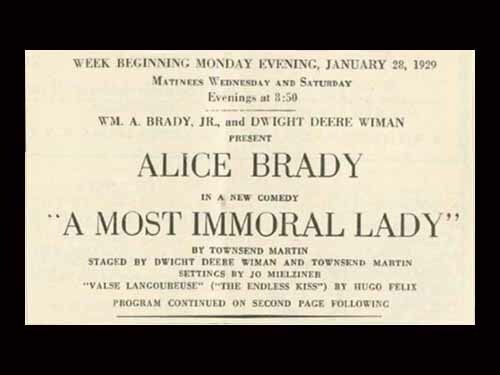 In the 1929 Broadway play A Most Immoral Lady; Alice Brady would play a female con artist. 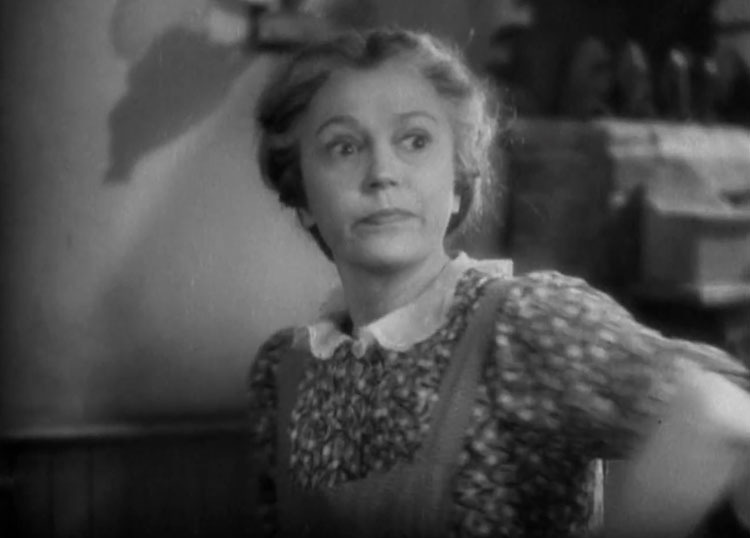 Her character, Laura Sargent, would lure wealthy men to her apartment. Then get them into a compromising position. 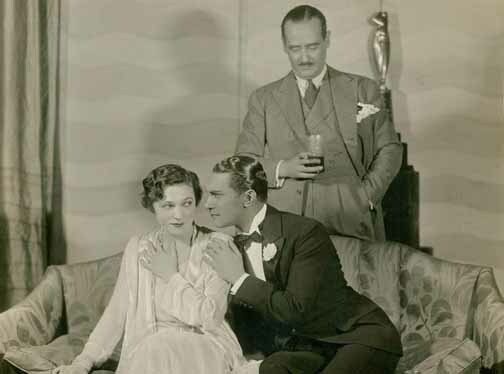 Afterwards her male partner in crime would blackmail the rich husband for their silence. This was later made into a movie in the same year, using the same title. Unfortunately no clips are available on the web.